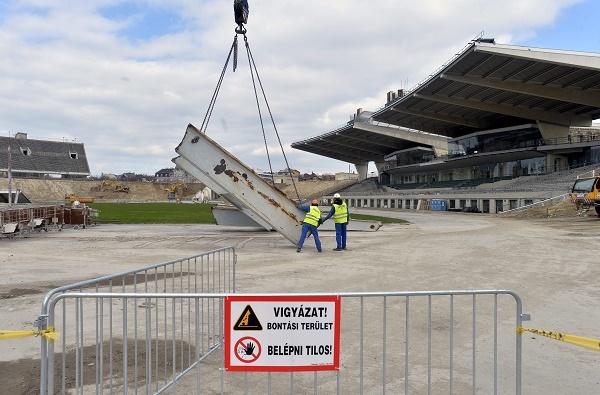 The expansion of the Puskás Ferenc Stadium in Budapest got under way on Monday with the disassembly of its concrete structure. 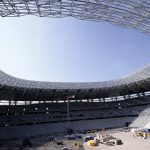 György Skardelli, the project’s head architect, told a press conference at the stadium that certain elements will be kept from the old structure. The old stadium’s tower will be one of the features that will remain intact and will be turned into a museum. The new stadium’s pylons will also be similar to the old one’s. Skardelli said all three levels of the expanded stadium’s seating area capable of accommodating 65,000 spectators-will be roofed. The upgraded stadium will meet all of UEFA’s Euro 2020 safety requirements, with the emergency evacuation time being reduced from 20 minutes to 8 minutes. 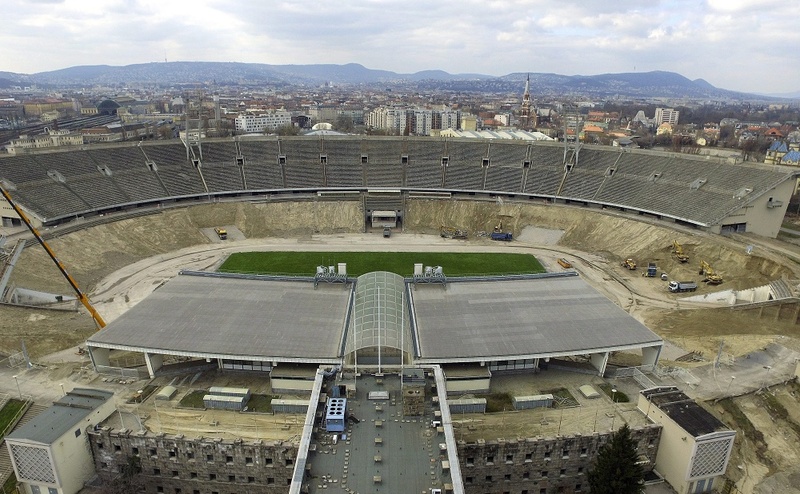 Puskás Ferenc Stadium will host four matches in the European Soccer Championship in 2020. Besides soccer matches, the new stadium will be suitable for hosting a variety of events, such as concerts and conferences, and could accommodate a total of 78,000 people, Skardelli said. The expansion is scheduled to start in December this year and is expected to be completed in 2019. The old stadium, named originally Népstadion (“People’s Stadium”), was built between 1948 and 1953 using a large number of volunteers, including soldiers. The arena was re-named after Ferenc Puskás in 2012. 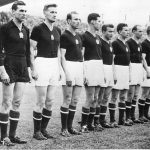 Puskás is widely regarded as the best striker in the world in his time and Hungary’s greatest footballer ever, who was the star of the national team during its glory years of the late 1940s and early 1950s.